Contact RSO for a NEW Deer Hunt opportunity next season! See the videos below! 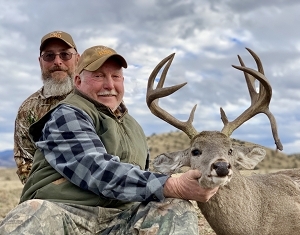 Mark joined us on his first Coues hunt in 2017 and took two great bucks, a 106" and 107" on a January hunt. Mark proved to be effective with his .50 Cal Ultimate Muzzleloader cleanly taking the bucks at 300 yards plus. The following year Mark wanted to return, but to a new ranch. Between the seasons, we received authorization to hunt "Early Season" while bucks were in velvet on two ranches. This opened up a new and very good opportunity for 120' plus bucks on either ranch. 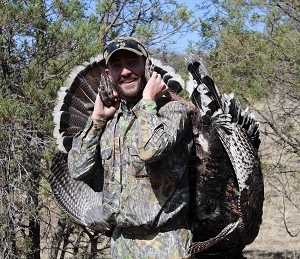 Prior to the hunt, I discussed options with Mark about returning to the same ranch he hunted. After discussing several options and facts, he agreed. 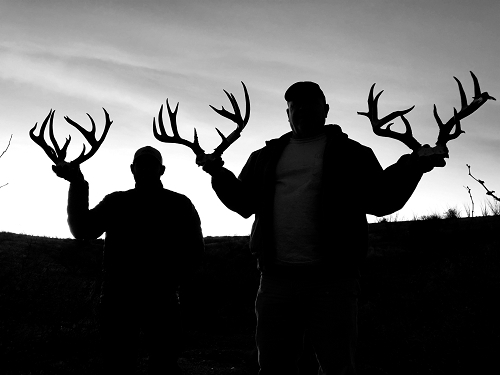 The ranch has tremendous genetics with documented bucks scoring well over 130" with one that easily exceeded 150". The hunt was planned. During the 5 day hunt in late September, a giant typical buck was seen on the first 4 out of the 5 days. A Lion interrupted his pattern on the fourth day and day five was a bust. Mark returned from the hunt without firing a shot. A return trip was immediately planned and the RSO Team was organized to hunt for this specific buck. Early November came quickly and Mark re-equipped his rifle with a new Leupold VX-6 with a BDC turret in order to best plan for this potential opportunity. The crew returned to the ranch to meet up with Jamie, the ranch guide who had been scouting this deer. Unfortunately the deer's pattern changed after the velvet shed and he vacated the previous area he was found in. The team spread out in attempt to relocate him. On the third day the buck was located in some of the steepest, most difficult area on the ranch. The guides split into two groups, Victor and Jamie called the shots from a safe distance as Mark and Brandon attempted to get into a reasonable distance from the bedded buck. The plan was executed flawlessly due to to the steep, broken terrain. Mark and Brandon were able to slowly position themselves on rock outcrop 100 yards above the buck. Soon the buck stood from his bed to feed below them at a sharp angle. Mark took little time to settle the crosshairs on the big typical and perfectly placed a shot between the shoulder blades. We knew the buck would rival 130" and possible contest the current SCI Typical record. 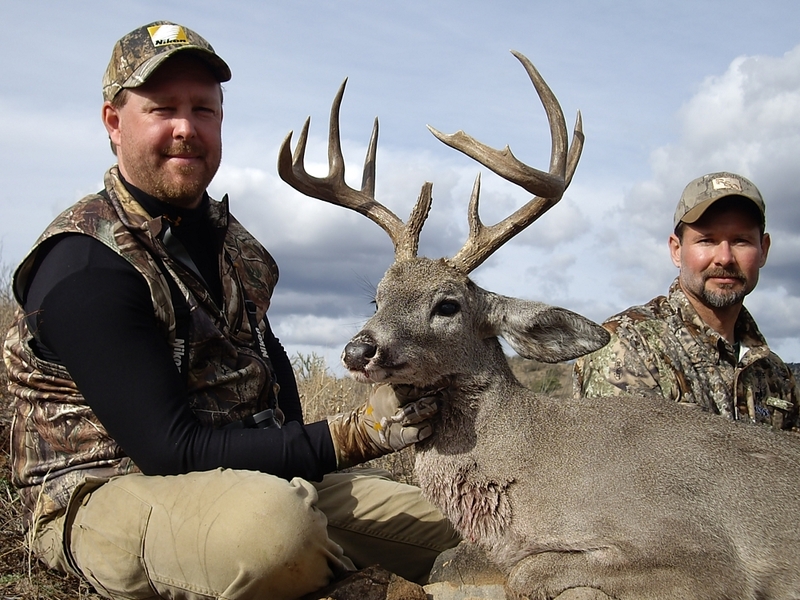 Regardless to all, it was a truly a respectable Team effort by all on a tremendous typical Coues buck. The big framed 4x4 Officially scored 134-2/8" to place #1 SCI for a Typical Coues deer taken by Muzzleloader and #14 SCI all-time. 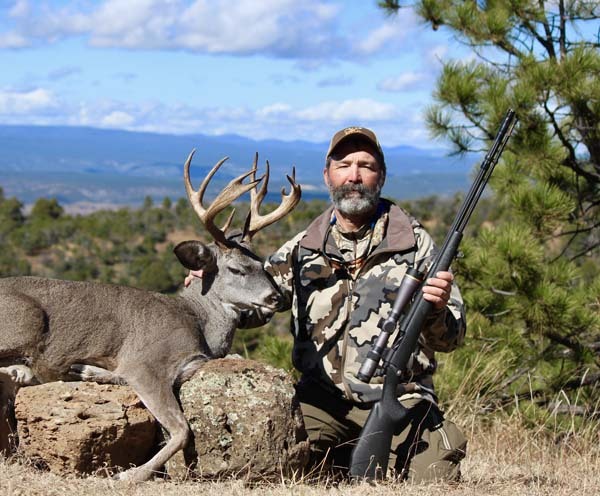 Mark ended his hunt the following day by taking a second buck that placed as the new #2 Non-Typical Muzzleloader Coues deer scoring 125-4/8". The stars were in perfect alignment on this hunt! 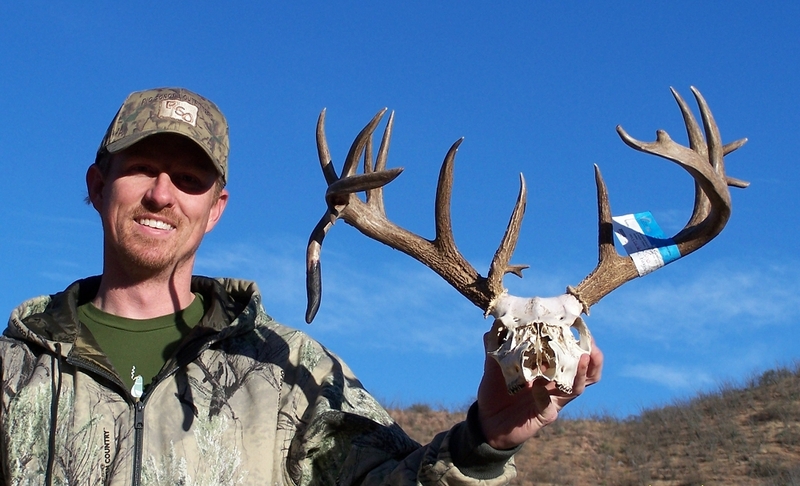 Brooklyn's Coues Deer Hunt from KBS Hunting on Vimeo. 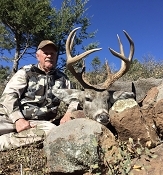 Rio Sonora Outfitters welcomes you to world class Trophy Coues Whitetail deer and action packed Gould's turkey hunting in Sonora and Chihuahua, Mexico. Hunters now have the option of hunting the Early Season with RSO. We are the only Outfitter offering this special season to hunt Velvet Bucks, an option that has proven success and produced several exceptional, high scoring bucks and a unique hunt opportunity. 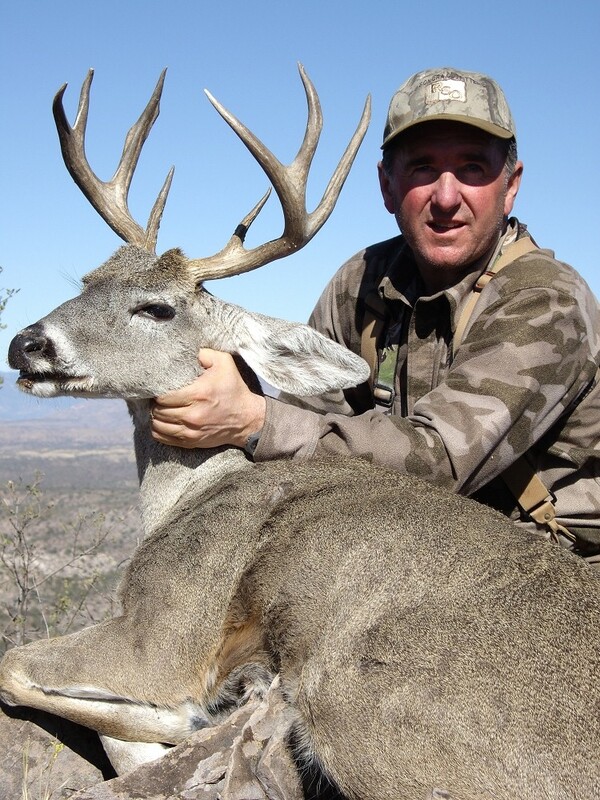 Brad Fulk; Owner, Outfitter and Guide, has dedicated over 20 years of his hunting past to Coues Whitetail deer in Southeastern Arizona and professionally in Mexico since 1999. Prior to that, Brad grew up in the rural mid-west hunting and fishing. This draw to the outdoors at a young age, eventually lead to a long career as a Wildlife Biologist in Southeastern Arizona. 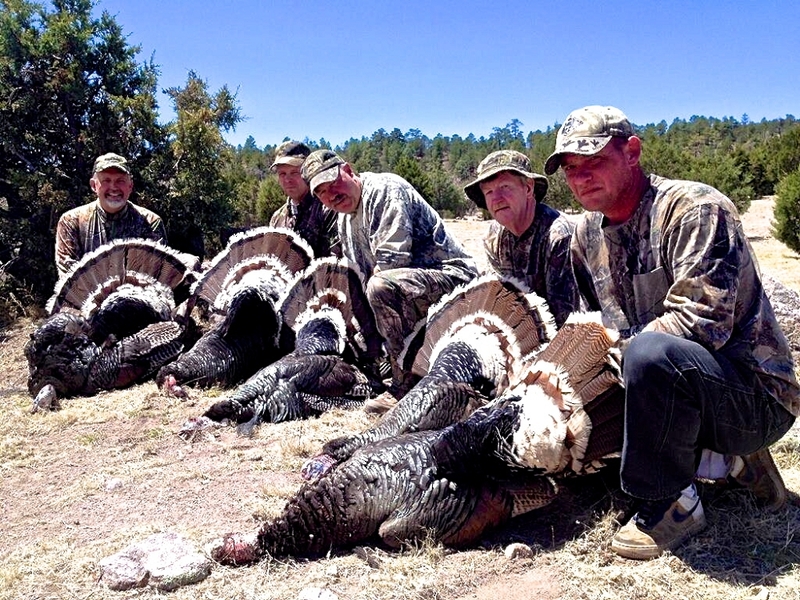 Since 1999, RSO has specialized in two species; COUES WHITETAIL DEER and GOULD’S TURKEY! Our success is based on a solid business foundation of a hard work ethic, honesty, specializing in the species, and hunting for animals with exceptional trophy quality. If trophy quality is your priority, trophy quality is what RSO is known for; WE SPECIALIZE IN YOUR TROPHY HUNT! Experienced in providing high quality trophy hunts for the serious hunter, Rio Sonora Outfitters recognizes the importance of personal safety and comfort by conducting highly organized, well planned hunts to assure you enjoy all aspects of the adventure while pursuing animals of exceptional trophy quality. How do we accomplish this? There are multiple aspects to consider; from vehicle maintenance, excellent menu’s, great cooks, skilled guides, quality equipment and great ranches with exceptional genetics. These aspects partnered with hard work, dedication to scouting and planning, yields a safe, enjoyable hunt for all. RSO would like to assure you each ranch has been looked at very closely for genetic quality with great game populations and offer opportunities of high scoring typical and non-typical bucks. 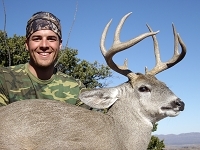 This accompanied with limited hunting pressure and a selective/conservative harvest, yields older age class animals and high scoring trophies. If trophy hunting is your interest; Trophy hunting is our business and our client’s track record has proven that year after year. 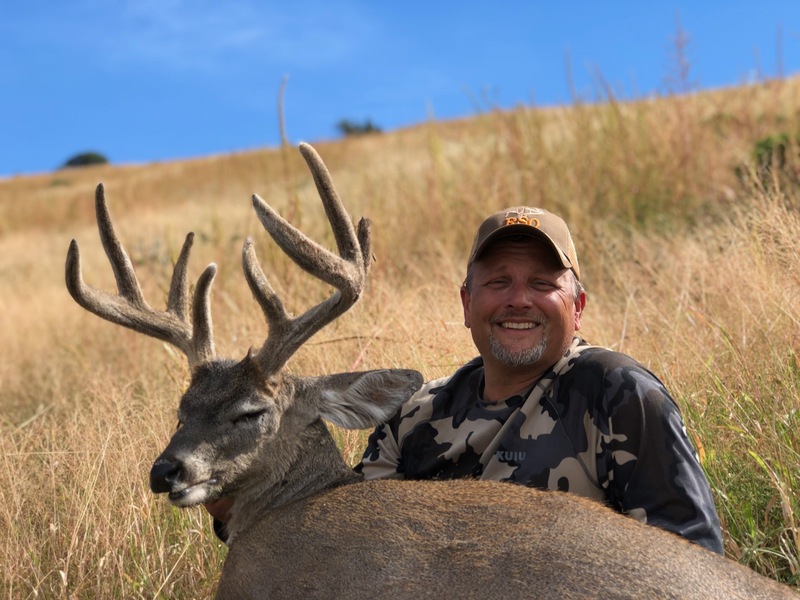 Rio Sonora Outfitters has shared some phenomenal hunting experiences while developing many great friendships over the years with sportsmen and women that share the same passion for trophy hunting. RSO looks forward to each and every hunt and takes pride in offering a trophy hunt opportunity by providing a great team effort. 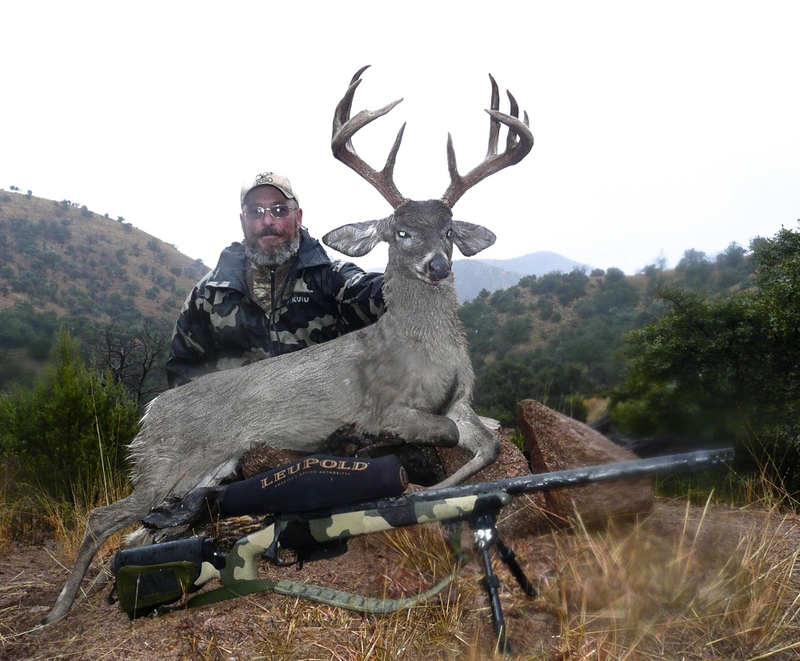 Please view the Coues or the Gould’s photos taken during past hunts. Each season RSO’s clients put Gould’s turkey high in the books or take a 120” plus or an occasional buck in excess of 130” off any of the ranches we hunt. Another important aspect of our success is fostering great relationships in Mexico with our ranching partners. Looking for exceptional genetics and good population densities on ranches is our priority. 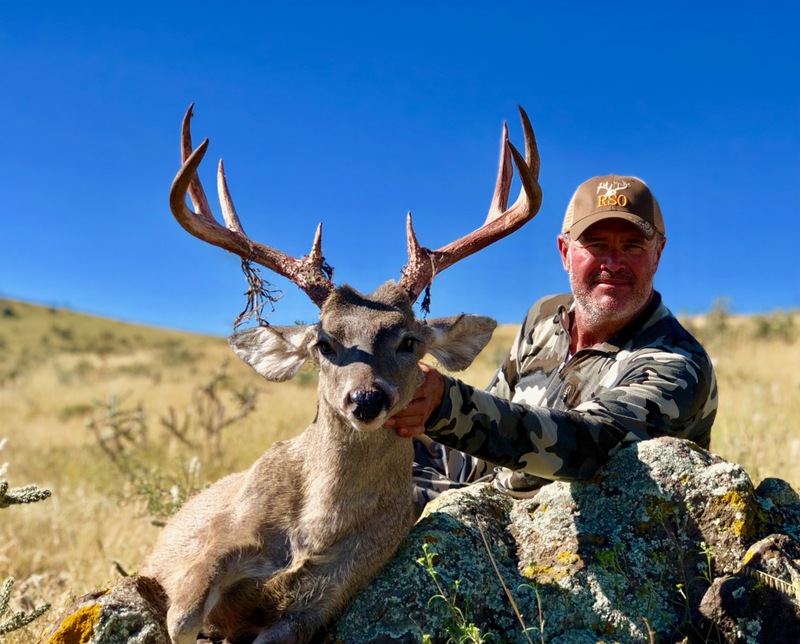 The season is never over as significant off-season scouting efforts are critical in continuing our legacy of putting clients on a Trophy Coues buck or a mature Gould’s turkey. This is the RSO priority! We hope you enjoys the videos and photos from our hunts. I personally thank you for visiting the site and hope you enjoy the photographs and information provided. By now you realize that hunting Mexico is our passion and finding the next exceptional trophy animal for our clients is top priority. Please contact me with any questions you have. Rio Sonora Outfitters looks forward to having you join us on a safe and enjoyable trophy hunt in Mexico! The ﬁrst time I saw the name RSO was in November of 2003. They were advertising trips into Mexico for Goulds turkey, which was the last species I needed to complete my turkey grand slam. While talking to Brad Fulk about turkey hunts he told me about his coues deer hunts. 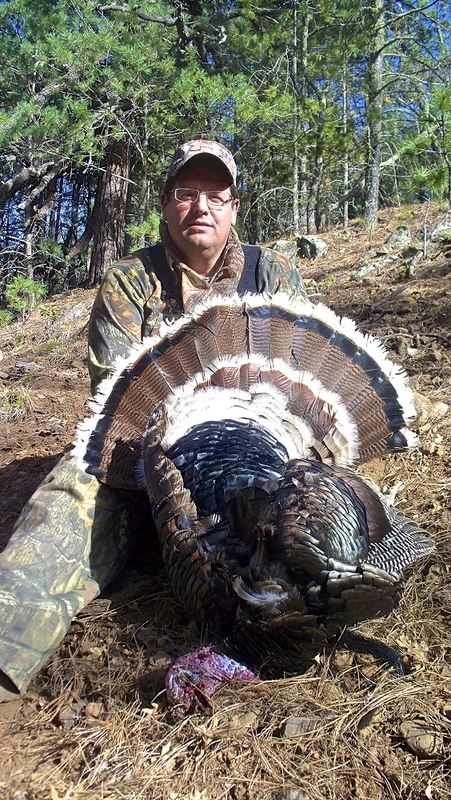 I ﬁnally booked a hunt in 2008 for a January deer hunt and a spring turkey hunt. I was successful on both trips bringing back good trophies and great memories. I am impressed with RSO’s efﬁciency and advanced preparations of all required documents needed to travel into Mexico. Brad and his staff turn the trips into a pleasant adventure. 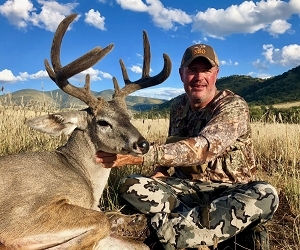 All of the ranches hunted by RSO clients have been thoroughly scouted by Brad and his guides. They all include a local cook serving great meals prepared daily. The ranch hands actively scout throughout the hunt providing up to date information on deer sightings. 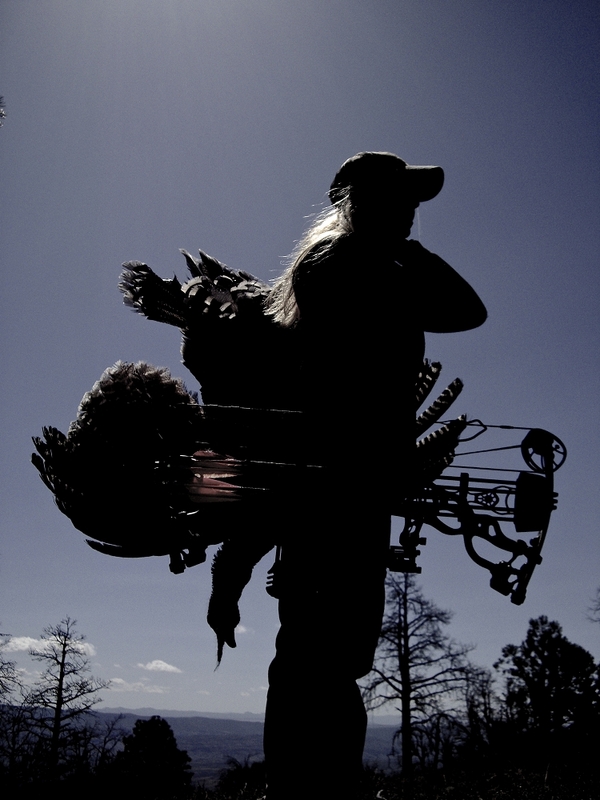 RSO provides a quality hunt designed to ﬁt the individual needs of each hunter. I have brought my wife, my son, and my nephew along on different hunts over the years and we have all enjoyed our adventures. The past four years have been very successful for the Jennings family. My son, Brian, has shot a 120”, 130”, 115”, and 110” on four hunts. My wife took a 106” and a 105” buck on one hunt. I have shot several nice deer including a couple 110” class bucks, a 121” deer, and this past year I was fortunate enough to shoot a 132” monster 3x3 with a 7” drop tine. I would highly recommend RSO to anyone seeking a chance at a true trophy coues deer or Goulds turkey hunt. What an awesome Outfitter! I’ve been to Mexico previous years and had horrible experiences… these guys take the fear out of going to Mexico. Brad and his guys do a phenomenal job for their hunters. You would be hard-pressed to find a better Outfitter if you want to hunt Mexico. The experience and trophies speak for them! 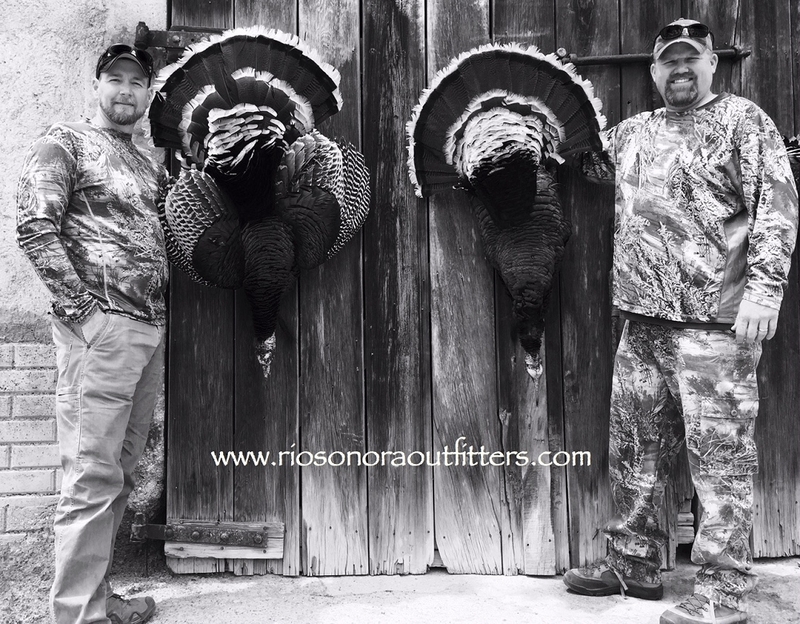 If you’re looking for a stress free hunting option for Mexico, look no further than Rio Sonora Outfitters. Having a ride into Mexico with these guys make border crossings easy. As for food and accommodations, you’ll be treated to a comfortable place to stay and you definitely will not go hungry. Oh and the hunting is pretty good too as you can see from the pictures. The early hunt is the bomb! These guys take care of everything! Can’t thank Brad and his guides (Shout out to Seth & Garrett) enough for our hunting experiences. Appreciate it amigos! 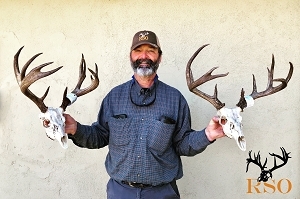 I've hunted with Rio Sonora Outfitters twice killing two 106” bucks in January 2017, in three days. I went back during their Early Season Hunts in 2018 and we found a monster! Long story short, Jaime and Victor found him in a nasty hole andthe following afternoon and I killed him. 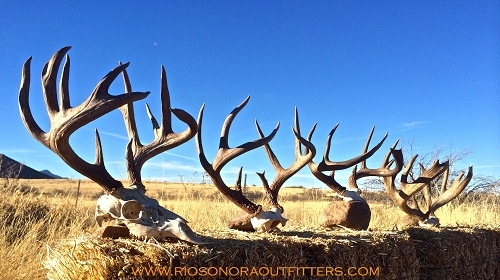 The typical 4x4 went 134-2/8”….Unbelievable!! On the same hunt, Brandon found another group of bucks and Victor and I stalked in and killed another monster, a 125-4/8”non-typical! Everyone worked very hard on everything, great food, and the hunts werevery enjoyable. All the border crossings were flawless and there was no reason worry about safety. Everyone involved with the ranch was very nice and hard working. I would hunt with Rio Sonora Outfitters every year if I could. All four bucks were killed with a Muzzleloader. Thanks Brad and the whole crew at Rio Sonora Outfitters! If you are looking to finish a royal slam this is the place to get your Gould’s!! Brad, Brandon, Seth and Jimmy put a lot of effort into scouting birds and getting everything ready to roll before you get into camp! The food was amazing and there were birds galore! It is an awesome feeling when you can roll into a camp with guys that you barely know and leave being friends who share the same passion for turkey hunting!! I'm glad that I was able to find Rio Sonora Outfitters to help me accomplish my dream!! I can't thank the staff enough, I would definitely go back!! If you want your Gould's this is the only place to go! Food was amazing, the staff seemed like old friends and the preparation and attention to detail on their part simply couldn't have been better. When you have a group of seasoned hunters that have been on countless guided hunts before, who you have never met, and by the end of the week they all agree it was the greatest hunt they have ever been on... That says it all folks. Brad, Seth, Jimmy, Brandon... You guys are the real deal. Thanks for a wonderful week. I'll vouch for you any day! Filled my Royal Slam about 45 mins into my hunt. Seems I get lucky early, always the first day. Oh well, I didn't come to bake cookies! Thanks Brad and your great staff, Jamie, Brandon & Victor and the wonderful Ladies in the kitchen, most accommodating hunt I've been on. Need your Gould’s, look no further. And thanks to the new friends I made in camp, best group I've ever met on a hunt. I want to thank you for helping me complete my Royal Slam in the finest of ways. As most hunters would be, I was a bit hesitant on traveling to Mexico alone, but you and your guides did the best of jobs to make sure everything went exactly as planned. Our travel to and from the U.S. to the camp was easy and stress free. It was nice knowing that everything was taken care of and all of the details were worked out well ahead of time. Once we got to the ranch it became a second home for a few days. The meals were excellent and I could not have felt more at home and comfortable. Hunting with Rio Sonora Outfitters was one of the most spectacular hunts, from the scenery to the amount of birds to personable guides. I had shot opportunities every hunt and usually had multiple if I had wanted. I was fortunate to harvest a bird with a gun and a bird with a bow, not to mention my first multi-bearded bird with a bow. Thank you for providing a world-class operation that takes all of the stress out of hunting abroad. I look forward to getting down there again and spending time with you and the guides soon. I want to thank you for such a wonderful experience. Your knowledge of the birds and your ground quickly resulted in a Gould's of a lifetime. By 7 am on our first hunt we had a bird with 2 beards, long spurs, and heavy. Little was I to know that less than 6 hours later, again using your knowledge we killed a 3 bearded bird that I believe will be in the top 10 of all Gould's ever killed. What a great experience with 2 successful classic run and gun hunts in one day. From booking, the hunts, the caping of the birds, even to return to the airport no detail was too small for you to have prepared for the hunters success. If someone who is serious about hunting and wants to forget the hassles and issues hunters experience, you are the MAN. Thanks. From the time I booked the hunt until we returned to the US from our successful hunt Brad and his team at Rio Sonora Outfitters were first class. The travel into Mexico was great and the hunt was fantastic. The lodging, side trip to the Indian ruins and the great food also added to just an all around great experience. I would highly recommend this hunt to anyone. 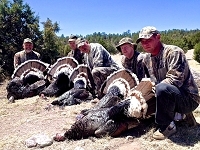 "The hunt for Gould's turkeys in Mexico with Brad and the RSO crew was nothing short of incredible! Brad knows his stuff when it comes to managing wildlife. He's found the perfect habitat to cultivate a balanced population of birds that's not over-hunted, and therefore a Gould's hunter's dream. 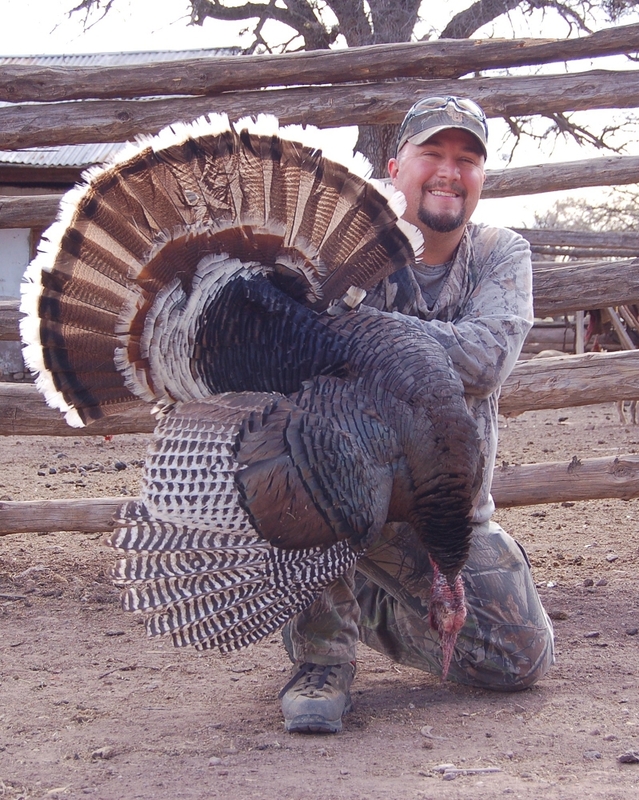 With so many opportunities on trophy-class turkeys, Brad's camps are full of happy hunters, action-packed stories around the kitchen table, and fun-filled adventures out in the field. The hunt is just one part of the experience. The road trip down to camp is breathtaking. The guides are great in the woods, but also provide lots of laughs and fun stories along the way - there's never a dull moment with RSO! Authentic Mexican fare will keep you as full as you want to be. It's a never-ending parade of unbelievable cuisine every day. And the camaraderie that developed almost instantly amongst our group is something I've never seen. There's something about caravanning across the border and through the beautiful landscape on our way to camp that seemed to bond us all together before we even arrived. I've made some lifelong friends through RSO and can't say enough great things about Brad's operation." 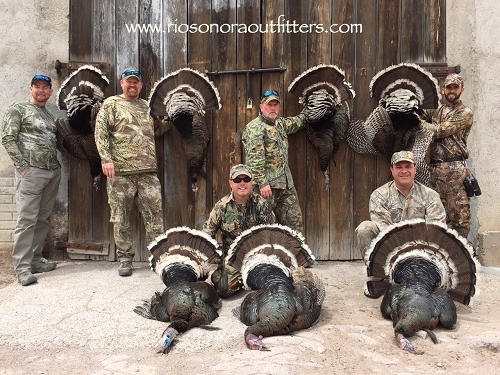 We wanted to drop you a quick note and let you know how much we enjoyed our Gould's Turkey hunt with Rio Sonora Outfitters. It was refreshing to participate in a hunt that was not only as you represented it to be, but so much more. We agree that this is one of the best father/son hunting trips we have ever participated in together. 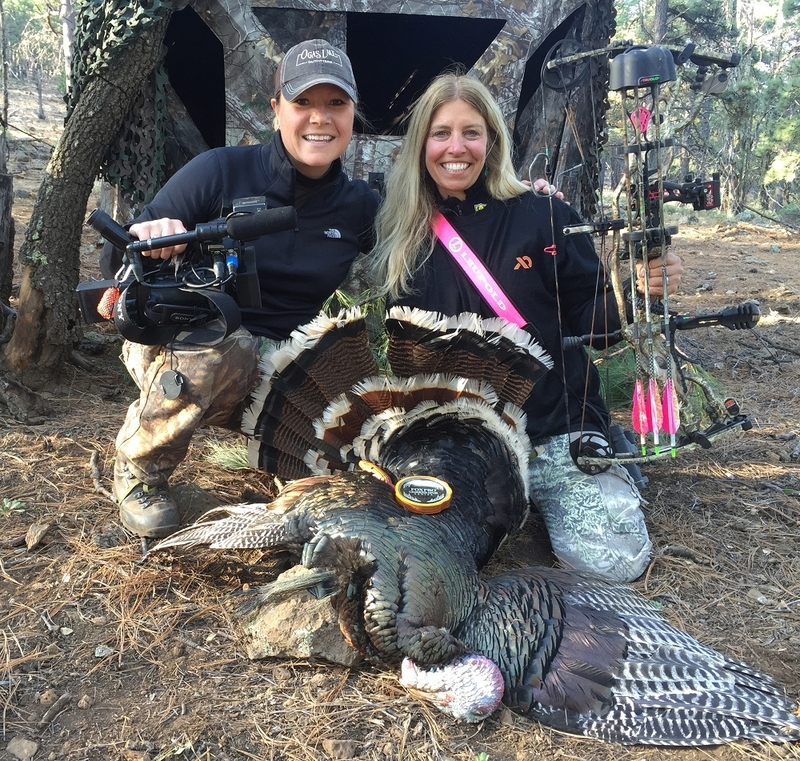 Abundant and beautiful turkeys, fabulous scenery and outstanding cuisine made this an unforgettable experience for the two of us. We can't wait to come back down and hunt Coues deer with you in the not too distant future. 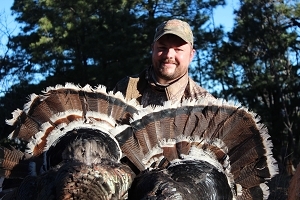 Thanks again for being an absolute professional and consummate host on this Gould's Turkey hunt. 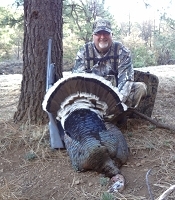 Just wanted to say, ‘Thanks Brad’ for the great Gould’s Turkey hunt in Mexico this past spring. It was everything you promised and the best turkey hunting we have experienced! 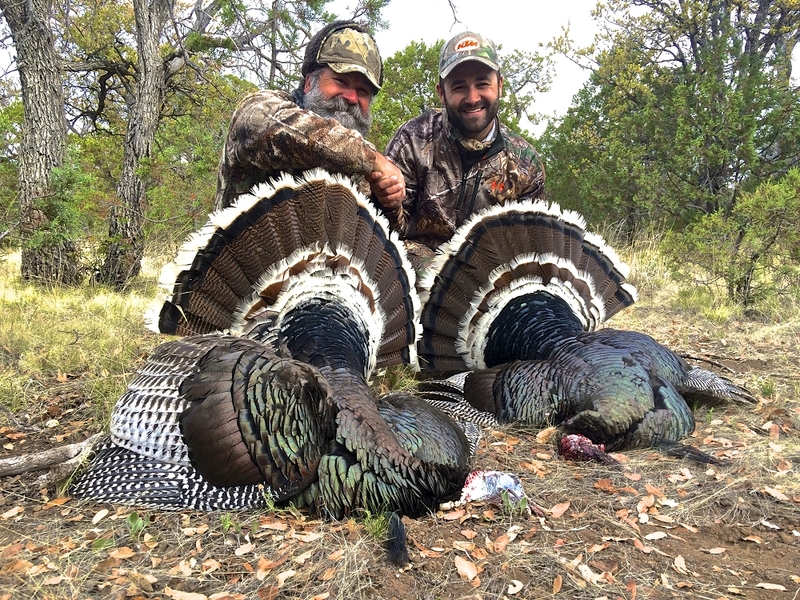 With the demand for quality Gould’s turkey hunts today and the expense, we were ecstatic when we both harvested mature gobblers the first day of the hunt. We had a lot of different expectations coming into the hunt, and all of those expectations were met or exceeded thanks to the 1st class operation Brad and his crew runs. Everyone that plans a trip with an outfitter has a different idea of what their ‘ideal’ hunt would be, and Brad and his crew does everything in their power to make sure you have that “ideal’ hunt. If you’re a turkey hunter that likes to run-n-gun birds, hunts all-day, or have a preference of sitting ground blinds, Brad has it all. RSO was excellent in scouting and keeping on top of birds and extremely knowledgeable with the turkeys’ patterns and their feeding habits. They really go out of their way in getting you on mature gobblers consistently. 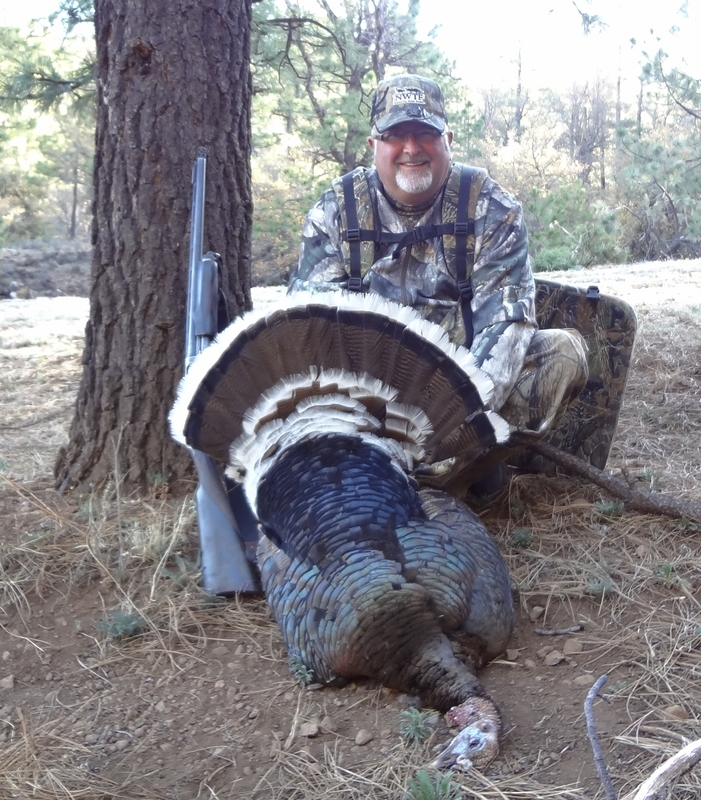 If you are looking for a trip of a lifetime hunting the Gould’s Turkeys, definitely give Rio Sonora Outfitters a shot, you won’t be disappointed. I just wanted to thank you and your crew for such a fantastic experience on my turkey hunt. The professionalism and courtesy you and your crew showed toward all clients, even the more challenging one's. Is in my opinion, going above and beyond what would normally be expected. Coming from a fellow guide I want you to know I would recommend your operation to anyone, even my own clients, without any hesitation. Please feel free for any of your potential clients that may have questions or concerns to contact me. Thanks again! Everyone who knows me also know that I love to hunt. I've hunted in 12 different states and two countries. I've met some great outfitters and some not so great. If you have ever thought about going after Gould’s turkey, Coues deer or the Ocellated turkey then please contact Brad Fulk with Rio Sonora Outfitters by E-mail or phone. There is no better anywhere. Just to let you know that this was one of the best trips that I have taken. Your organization and work ethic are second to none. Traveling to Mexico was a concern of mine (more my wife) and I just want you to know that at no time did I ever feel uncomfortable or threatened. The crossings and checkpoints went off without a hitch. You definitely have it down pat. 100% success on Gould's turkeys, it doesn’t get much better than that. The guides, food, accommodations were great. If anyone would like to talk to me about the hunt, I would be glad to be a reference. "My father and I have hunted Mexico for Coues deer for the last 10+ years and have hunted with a ton of outfitters, and I have to say that Brad Fulk and RSO are on the top of the heap by a fair margin. 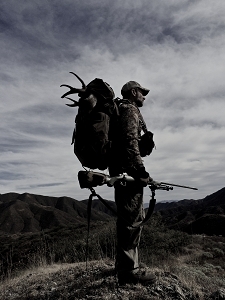 No other outfitter has come close Brad's level of organization, work ethic, and probably most importantly - results. Any of you that have been to Mexico before know the amount of paper work involved, and it can get frustrating. Brad has always had every "i" dotted and "t" crossed in that regard and border crossings have all gone very smooth. We never worry about crossing the border with Brad, which is at a premium these days. The ranch houses have all been very clean, and the food is always excellent. And Brad's guides are outstanding. They are all friendly, hard working guys with great eyes and high end glass to help find your buck of a lifetime. And they know Coues deer; these guys are Coues fanatics and can field judge deer at distance with the best of them, which is a huge bonus when you're trying to decide whether a buck is worth your tag or not. And unlike most outfitters, Brad actually scouts his ranches before season so he already has a few big bucks pegged before you get there. All this has led to my fatherand I becoming loyal customers, and the results speak for themselves. In the last 5 years my old man and I have killed 5 Coues deer over 115" with Brad (with the largest being 151 4/8") for an average of over 125". 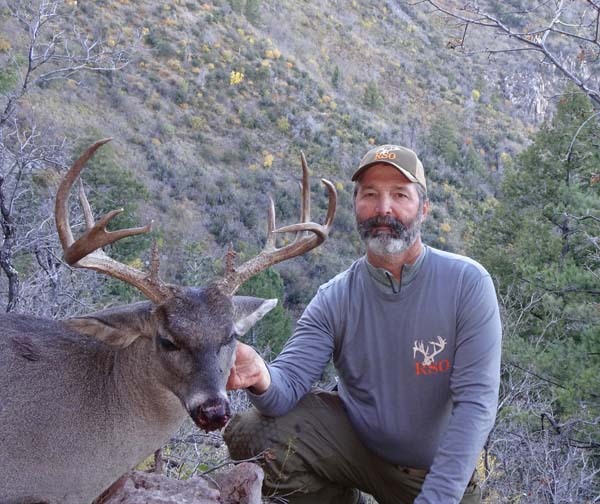 If you're serious about hunting Coues deer and want to kill a trophy buck, I highly recommend you give Brad and RSO a call." I want to give you a compliment on how well you ran my Coues deer hunt in Sonora, Mexico this past January 2010. You did a great job in the planning and executing of all phases of my hunt. I started hunting in Mexico in 1996 and have been in either Sonora or Chihuahua every year since with many different outfitters. My experience this past January 2010 with Rio Sonora Outfitters was the best I've experienced in all my years of hunting Mexico. Organization, paper work and pre-hunt communications from you that are needed for the border crossing at Douglas, Arizona was as smooth as I've experienced. Border crossings can be stressful when bringing a firearm into Mexico but your organizational skills made it relatively painless. Accommodations at the hunting camp were excellent as was the food and drink. In addition, the ranchers personnel as well as your own people did everything possible to make my hunt enjoyable from start to finish and it was appreciated by myself as well as the other hunters. Your American as well as English speaking guides were all very capable with good optics and the vehicles were all top notch which has been a real problem on some of my other hunts south of the border. The final Hoorah was the hunting was very good on a ranch that has not been over hunted with good access to areas holding deer. Your preseason scouting obviously added to our success as a group allowing us to take six bucks ranging from 101 B&C gross to 115 B&C. On our return to the U.S. all of your paperwork was again impeccable making for a trouble free re-entry into Arizona through U.S. Customs. Thanks again for a great hunt and I'll see you in 2011. 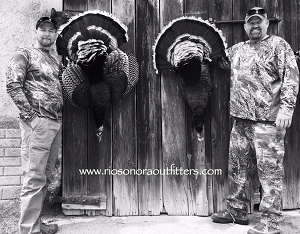 I can’t say enough about Brad and Mike of Rio Sonora Outfitters. 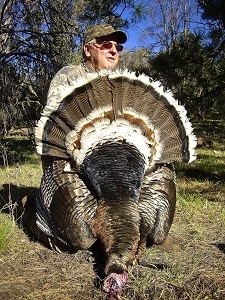 I've traveled across the country in pursuit of the wild turkey, and in that time I've hunted with a number of outfitters. To be honest, I was a little concerned as I'd never traveled south of the border to hunt before. 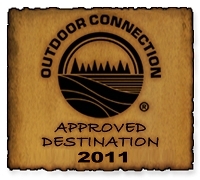 RSO really delivered, the communication and updates leading up to the trip were great. All of the necessary paperwork was handled before the trip which made crossing the border a breeze both leaving and returning to the States. The camp was clean, meals were great, and the guides were warm and inviting. Did I mention that the hunting was outstanding as well? I tagged two beautiful longbeards in the first 24 hours. I highly recommend RSO and would refer any hunter in pursuit of the Gould’s to RSO without reservation. I travel the world making my living doing hunting television and writing magazine articles. 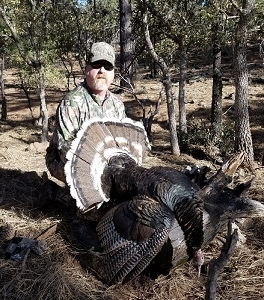 Brad Fulk's Rio Sonora Outfitters provided me with as good a hunt and overall experience as I have had anywhere, anytime. All paperwork, customs, licensing, etc. were handled with the utmost efficiency. I felt 100% safe the entire time, and the staff, from guides to cooks to ranch hands were knowledgeable, friendly and hard working. All equipment was in top shape, and game was plentiful and well managed. The hunting far surpassed my expectations as two of the three of us in camp killed B&C Coue's bucks. This is my friend Brad Fulk’s ((Rio Sonora Outfitters) last hunt of the year in Sonora for Coues deer … I hunted this ranch in December and passed on numerous big bucks looking for one like these … I took a nice buck on the last day but it was the smallest buck I chased during that hunt. We took 3 bucks out of 5 that were over 10 years old – this ranch had not been commercially hunted in a very long time and it was evident by the deer we saw.